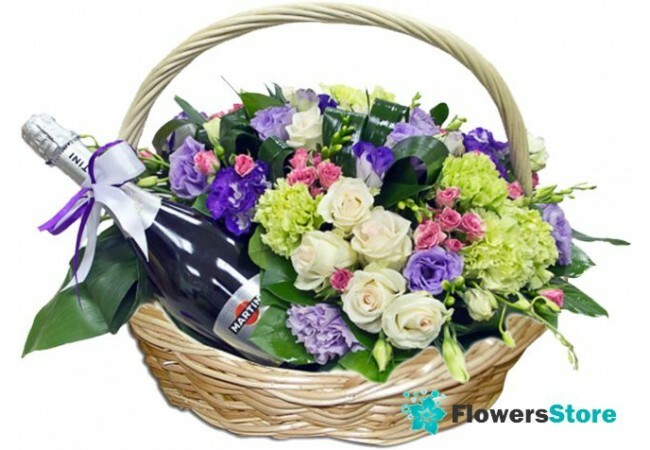 Description Basket: Sweet moments of attention always delight your favorite! The composition of the basket: Eustoma, greens. 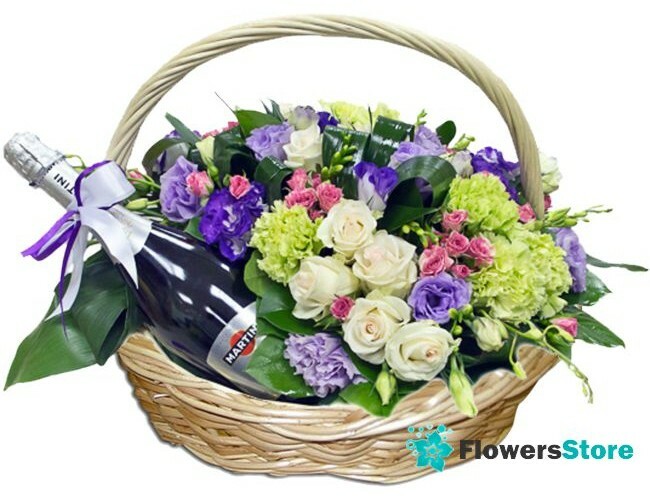 basket, design, wine Martini Asti 7.5% 750ml - FOR FREE!